Go Fund Me is one of the most recognized fundraising platforms. You can raise money for business, personal needs, medical reasons, emergencies, pets, school, and sports. They even allow you to start a fund on behalf of someone else. However, Go Fund Me isn’t the only site where you can crowdfund. Check out the following seven sites like Go Fund Me to find which is most suitable for your situation. We have ranked them based on similarity to Go Fund Me, quality, and popularity. YouCaring is one of the best sites like Go Fund Me because it allows you to raise money free. Other crowdfunding sites often keep 5-10% of your earnings. Another great feature of YouCaring is you can control who sees your fundraiser. This is ideal for those with privacy concerns. 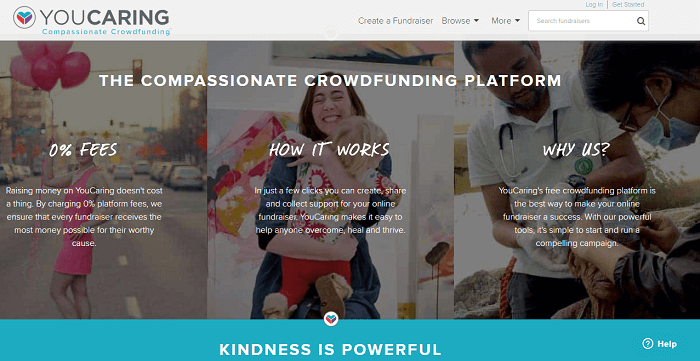 To help users succeed with their fundraisers, YouCaring provides tips, tools, fundraising ideas, and customer service. Examples of situations you can raise money for on YouCaring include veterinary bills, medical expenses, and adoption fees. Similar to YouCaring, FreeFunder doesn’t charge fees for you to raise money through their platform. The crowdfunding platform allows users to receive donations for personal needs, such as medical bills and memorials. 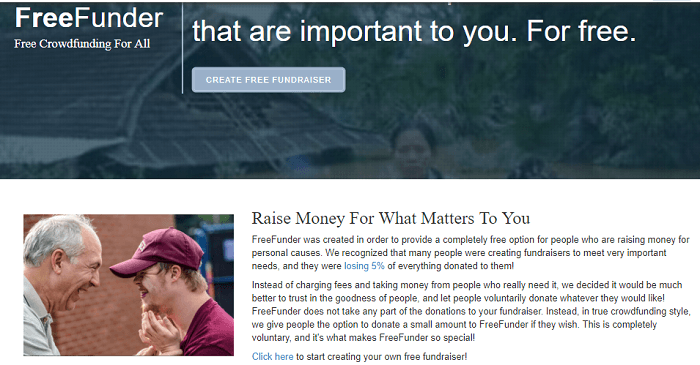 FreeFunder earns money by allowing users of the site to donate to them. It’s easy to create campaign pages with FreeFunder’s campaign editor. You can pick a color scheme and insert your content. Or you can customize it further by adjusting the font color and font size. You can organize the content through bullet points, tables, and pictures. 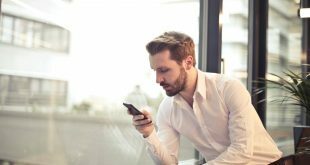 FreeFunder is mobile friendly, so campaign pages display neatly on mobile devices. This indirectly helps you receive more donations because mobile users won’t exit the site. DailyKARMA is one of the best sites like Go Fund Me for charity fundraising. They don’t charge setup fees, and the site is secure. Many of the charities on DailyKARMA are trusted by the IRS, so it counts toward tax deductions. To use the site, you select charities you want to support and then share your campaign with potential donors. If you chose more than one charity for the campaign, the donations are divided among them. DailyKARMA is a simple way to support your favorite charities. Plumfund is a crowd-gifting platform that doesn’t charge setup fees or transaction fees. So far, users have raised over $514 million on the site. Plumfund works by creating a campaign page called a Plumfund and sharing it with your community. 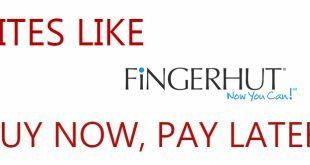 You are able to receive offline and online payments. The crowd-gifting platform has partnerships with PayPal and WePay. Because of these partnerships, they have low credit processing fees. Examples of events you can crowdfund for are baby showers, anniversaries, hardships, medical expenses, and retirement. Fundly is one of the top sites like Go Fund Me that has helped users raise over $300 million. Different from other crowdfunding sites, they don’t charge start up fees or require a minimum amount raised. No matter how little you raise, Fundly lets you receive the money. 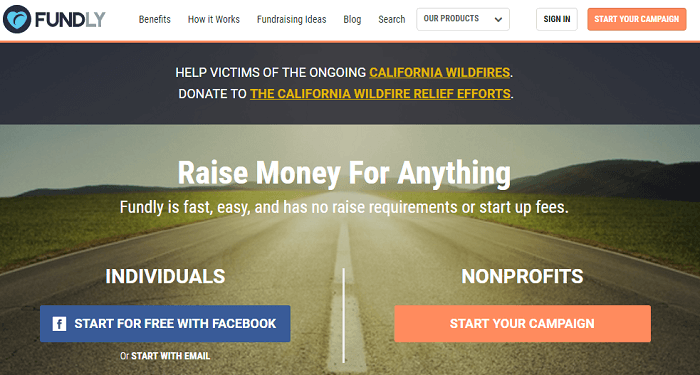 Users can raise money for any cause. Categories one can browse on the site include disaster relief, military, politics and public office, and creative projects. Fundly provides tips, guides, and tutorials to help users run successful campaigns. Campaign pages are mobile friendly, so you won’t miss out on donations from mobile users. Up there in terms of name recognition, IndieGoGo is one of the top sites like Go Fund Me. It was actually one of the first crowdfunding platforms online. 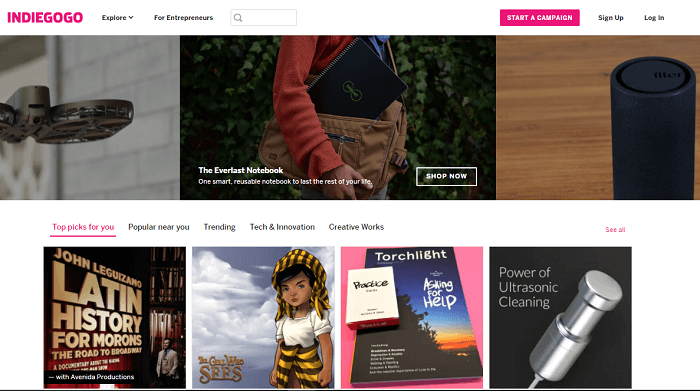 IndieGoGo is dedicated to those who have creative projects to manufacture a product. Many different types of creative projects are posted on IndieGoGo, such as health & fitness, home, fashion & wearables, and tabletop games. 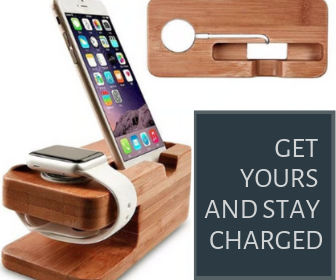 You can directly buy innovative products on IndieGoGo to support the inventors. When you donate money to a campaign, you often receive incentives from the project owner. A niche crowdfunding platform, Pursu.it is geared at fundraising for athletes. Both amateur and professional athletes can start campaigns on Pursuit. Olympians can crowdfund on Pursu.it too. You can browse campaigns by region or sport. A wide variety of countries are support on the platform, such as the Czech Republic, Latvia, and Canada. When you hit milestones on Pursu.it, you earn cash rewards. 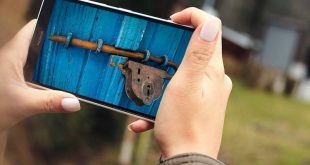 This is a feature that causes Pursuit to stand out in the crowdfunding arena. The seven sites listed above are some of the top sites like Go Fund Me for fundraising. Each site either caters to a different market or offers a few different features to stand out. Although Go Fund Me may be the first crowdfunding platform you’ve heard of, it’s good to consider your options. Do you have experience with a crowdfunding platform? Let us know whether it was good or bad below.